Obviously, this is a very idealistic point of view and aim, but it is also one that I agree with whole heartedly. Every country is different. Every country has its weaknesses and strengths. I don’t believe there is one country that is truly better than every other country. Suffice to say I don’t think it is good or moral to kill people over differences. Differences are what make us great. Scientifically speaking, without the introduction of different genes and different mutations, species would die off from inbreeding. The world wouldn’t be able to exist without differences. I was surfing Facebook when I saw the first of the articles hitting the news stream about the recent terrorist attacks in Paris. Then my phone went crazy, when every exchange student whatsapp group that I’m a part of lit up, with everyone asking each other if they had seen the news and can you believe what’s happening? This is likely an event that will become of those moments that everyone remembers where they were and what they were doing when they found out about it. Where were you when Kennedy was shot? Where were you when you found out about 9/11? I was on a couch in the main room in my host mom’s apartment in Brazil when I heard about the ISIS attacks in Paris. I ended up turning my phone off and reading a book, because while I wanted to know what was happening, I was also sad and couldn’t handle scores of misinformation and terror. Now we are five days post the moment, and we have entered the world of debate. The big question gracing social media these days is why did Facebook put up a profile picture filter in support of Paris, but not is support of Beirut? Articles are being written about the tragedies in Beirut and Baghdad, and that we are a cold and callous people to have ignored those attacks, when instead the only thing dominating CNN is the attack in Paris. I’m seeing posts reminding people that Paris isn’t the only tragedy that happened recently, and that we should pray for world peace instead. I’m in groups that are talking of making videos with messages to the survivors and the families of the victims in Paris, and yet the loudest voices are those of the people asking why it matters that we stand in support of a country reeling from a huge body count when nobody is going to watch the video anyway. My response to these outcries of who is more important than who is simple. 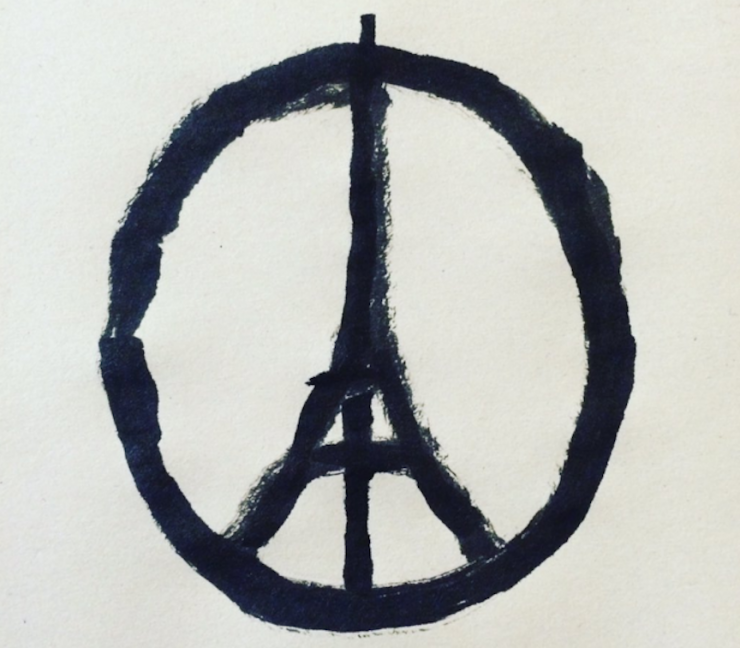 Please don’t attack me because I feel sad about the events in Paris. Please don’t tell me what I should feel sad about. The world is a scary place. And I feel sad about the violence and death that occurred five days ago. I feel sad that stopping terrorism can’t be done with me snapping my fingers. I understand that more terrorist attacks happened beyond the one in Paris. Please don’t tell me what I should feel sad about. We should not forget about the events in Paris just because they aren’t the only acts of terrorism to have happened recently. The acts of terrorism, violence, and war around the world are scary and terrible. 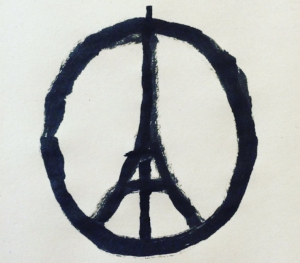 What happened in Paris was scary and terrible.